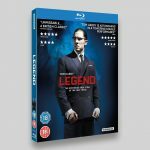 From Academy Award winner Brian Helgeland, LEGEND is the blistering crime thriller which tells the true story of the rise and fall of London’s most notorious gangsters, Reggie and Ronnie Kray, both played by Tom Hardy in a powerhouse double performance. It such a nice feeling receiving an email asking you to work on a film you’re already looking forward to. 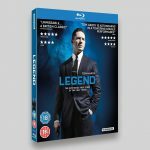 Legend happened to be one of those occasions. Whilst the actual design side of things is not really that complicated, there’s a lot of work to be done and, of course, there’s a greater sense of pressure to get everything spot on, even if that’s just self imposed. 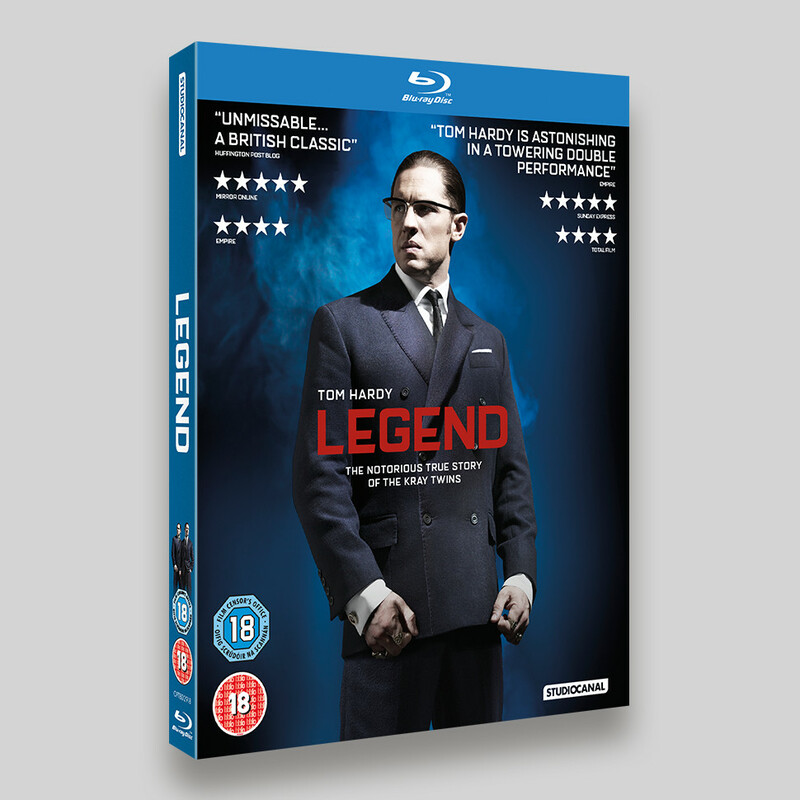 Legend came with a number of posters and assets available, lots of studio shots of Tom in the two roles. 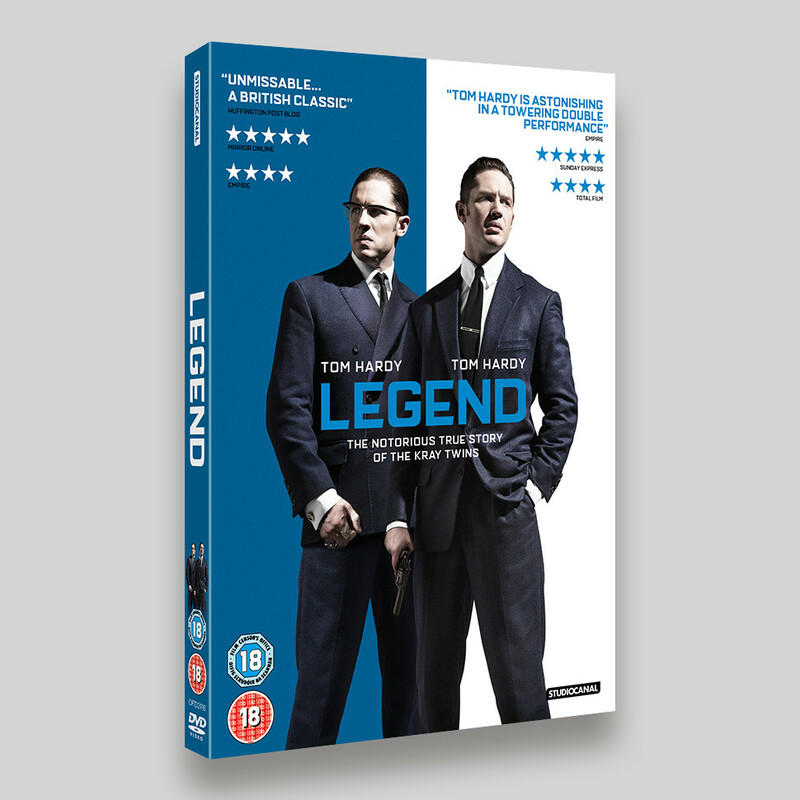 The main DVD artwork uses a theatrical poster adaptation. The Blu-ray O-ring artwork features a lenticular (the fancy name for the ‘moving’ image on the front – maybe you first experienced this on a dinosaur ruler as a child as well?) that switches between Ron and Reggie, but I was not involved in the creation of this (the eagle eyed of you may notice the cert is a proportionally different size to the DVD version).